Oregon officials have authorized the lethal removal of more wolves from the Harl Butte pack due to continued depredation on livestock. Last week, the Oregon Department of Fish and Wildlife (ODFW) approved a permit, which is valid through Oct. 31, 2017, that allows for the lethal removal of up to four wolves by ODFW staff or livestock producers affiliated with a local grazing association. Wolves have been linked to two more cases of depredation: a dead calf on Sept. 29 and an injured calf on Oct. 1, ODFW reports. As goHUNT previously reported, ODFW removed two other Harl Butte pack members in August after non-lethal measures like electric fences, ranger riders, ranchers spending more time with livestock and wolf hazing failed to keep the pack away. 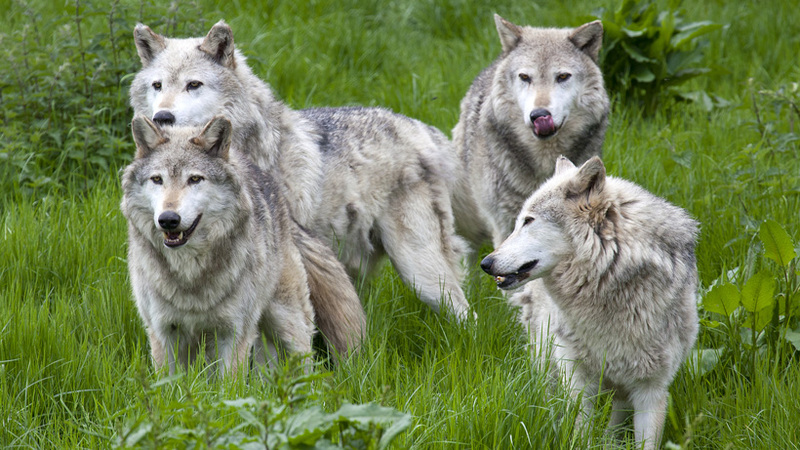 The decision to remove problem wolves follows the state’s wolf management plan. Officials believe that the Harl Butte pack is made up of roughly nine wolves (six adults and three wolves born last spring). The lethal control authorization makes any of them fair game. While the Harl Butte pack is still giving livestock producers trouble, the Meacham wolf pack seems to have lost interest in causing problems. According to ODFW, the lethal control authorization for the Meacham pack expired on Sept. 30 and will not be renewed because there have been no other confirmed cases of depredation linked to this wolf pack. Hey Jonathon. I wanted to thank you for your first-hand report of what you experienced while hunting near this pack. Reading reports like yours definitely make these articles stronger by adding more data. Hope you had a great season! I was hunting in the Imnaha unit for archery elk season from Sept 8th through the 24th. I ran across this pack of wolves several times while hunting. I also have photos of calf elk that they killed and just let lay. In fact my brother and I had these wolves run at us as we approached one of their kills. They came as close as 20 yards. We felt threatened enough that we came very close to Shooting them. I can confirm that when we last seen them on the Ridge top of Johnson creek on Sept 20th there were 9 wolves. 3 pups and 6 adults. 3 of them were all black and 3 were grey. It was 2 black and one grey wolves that ran up to my brother and I. The kills that we seen had the stomach and hind quarters eaten out and the just left.